New this season, a more formal cousin to our popular seersucker Eton Jacket and Shorts Set. This outfit provides a sophisticated, more formal look for your spring and summer special events and comes in different colors, Light Gray, Light Blue, Charcoal, and Ivory - this is the Light Gray color. 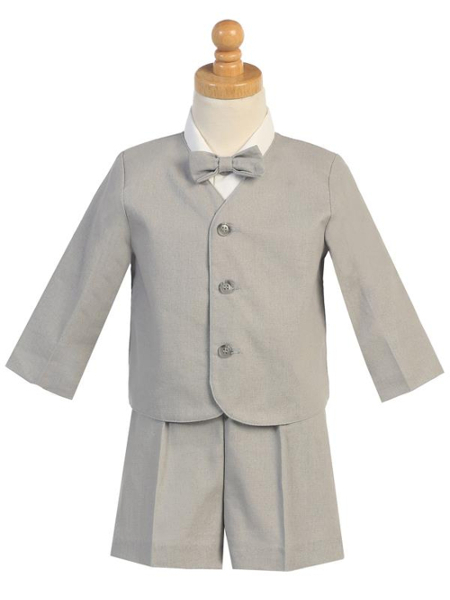 The set includes a lined Eton-style jacket, elastic waist shorts, a short sleeve white shirt, and matching bow tie. Once your special occasion is over, the individual pieces are incredibly versatile and can be used as separates to create a variety of different look and feel outfits. You can put the jacket over jeans, add suspenders, or add different colored bow ties to create your own unique looks. This outfit is made in USA by Lito. The jacket, shorts, and bow tie are a wonderfully soft rayon-linen blend. Head’s up, this outfit will wrinkle. The shirt is 35%-65% cotton-poly blend. It is recommended that this outfit be machine washed on cold and tumbled dry on low heat. 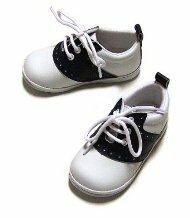 The set is available in infant and toddler sizes 2T months to 5.